The bad news is that Jordan’s Bus Rapid Transit system (BRT) was suspended last year amid concerns about the associated cost and feasibility. 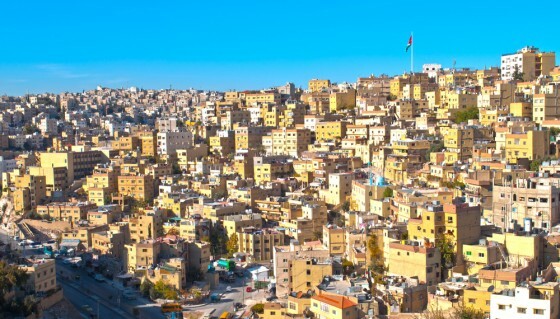 Although the multimillion dollar project would have considerably reduced traffic and smog in capital Amman, details of the system conceived by the Greater Amman Municipality in 2009 are still being ironed out. So a couple of teenage boys who say that it’s impossible to find a safe place to ride their bikes in the city have turned one of the new but abandoned bus lanes into a bike lane instead. Omar Ahmed and Mohammad Ali from Dahyat Al Rashed turned a would-be bus lane on Queen Rania Street into a bike lane. Like many cities in the Middle East and North Africa, Amman is not well equipped for cyclists and heavy vehicular traffic makes venturing out on two wheels a veritable suicide mission. The BRT plan was ambitious. Each bus would have carried 120 passengers and would have run every three minutes during peak hours on select routes, but it was shelved just months before it would have been inaugurated. Although budget and feasibility are the “official” justifications for halting the project, Arwa reported earlier this year that politics was more likely the cause. In December 2011, Prime Minister Awn Khasawneh referred the case to the justice ministry to investigate, Arwa wrote, while the project Director Ayman Smadi openly sited political factors as motivations behind the suspension. Speaking to the Jordan Times, he explained that “there was huge pressure from Parliament to halt work on the project” and alleged that there were no valid technical reasons for doing so. He also added that the BRT project was being used as a “scapegoat” by those who wanted to attack Greater Amman Municipality’s management and certain deputies. There’s no telling if or when the BRT program will be reinstated, but it has unintentionally drawn attention to the dire lack of proper urban space and bike lanes, which combined could drastically improve the city’s air quality and aesthetic. The teenagers, meanwhile, are in no rush to see the BRT project succeed, they told Jordan Times, as it means they can finally ride freely. It’s not just the traffic that’s a suicide mission in Amman- the toxic smoke from car exhaust is something I would avoid at all cost. Ride a bike with a gas mask to be safe….